In this post an alternative code version to the traditional ImageServlet will be given, supplementing the one presented in the book named Oracle Fusion Developer Guide (p.409), by F.Nimphius and L.Munsinger and other official Oracle aces' and employees' blogs. This alternative version will use the EJB 3 way to get rid of the surplus database definition hard coded in the doGet() method. 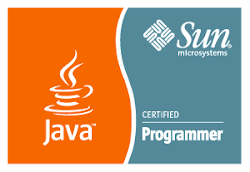 As an epilogue, further criticism will be provided, against using that technique of obtaining jdbc connections to the database. Besides hard coding the database connection string and the SQL query too, using doGet() instead of init() to setup a database connection and destroy() to close it, is not widely considered a good idea. Thus, a newer version of the servlet code will be most welcome, due to performance reasons as well. Presenting that code would go beyond the scope of such a post, so I am turning once again to the Oracle experts mentioned above for another alternative solution!